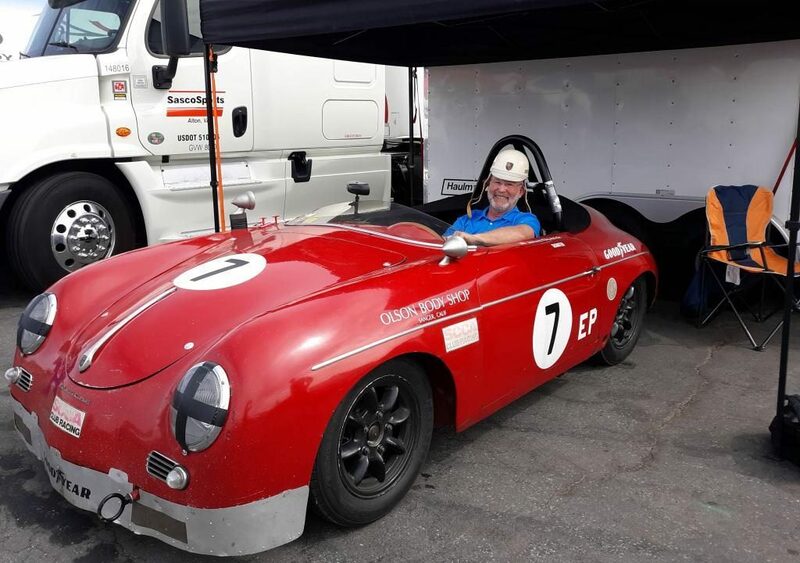 Recently I attended the Porsche Rennsport Reunion VI at Leguna Seca raceway. This is a multifaceted event, described in my blog post here. One aspect of the event is vintage racing. I have been to many vintage races and have always found the competitors in the pits to be most accommodating of the non racing spectators. 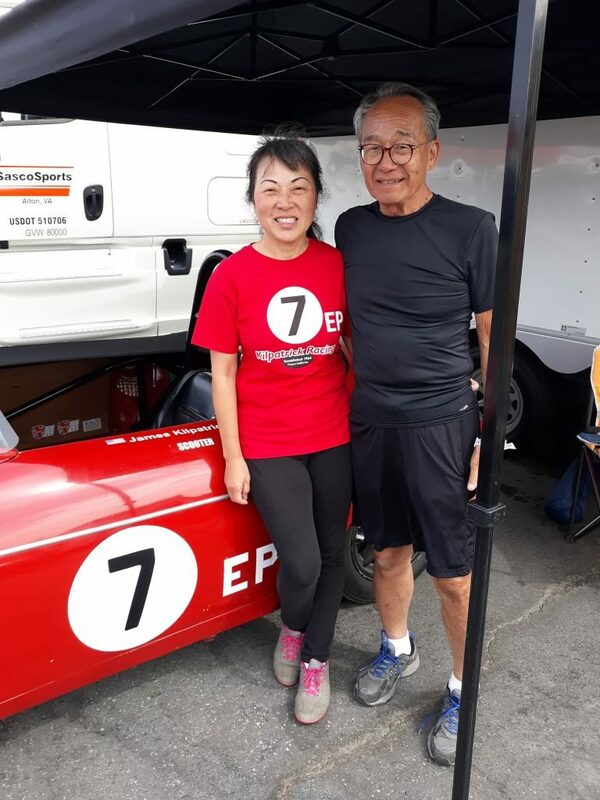 A great example are Ernie and Elaine Nagamatsu. As I strolled through the pits at the Rennsport Reunion, Ernie’s red Porsche speedster caught my eye. When I was only 17, I was fortunate to buy as my 2nd car and first Porsche a 1960 roadster, also red. My car was in terrible shape and required much work but I surely loved that car. Ernie’s car, a true Speedster, attracted me to his pit. Ernie and his wife Elaine welcomed me, showed me the car, and showed me their guest book. I spent some time entering my memories of my car in the guest book. As I sat there writing, Ernie and Elaine welcomed other spectators to explore the history of their car. Kids got to sit in the seat and have their picture taken. I guess I’m just a big kid at heart because before I was done, I was in the seat of their car, having my picture taken and going back in time to my high school days. What a treat. Thank you to Elaine and Ernie for their hospitality! Ernie has a website at http://www.oldyeller2.com. If that rings a bell, he also owns one of the original Old Yeller cars, as well as a Shelby Cobra. Me posing in a 1958 Speedster.